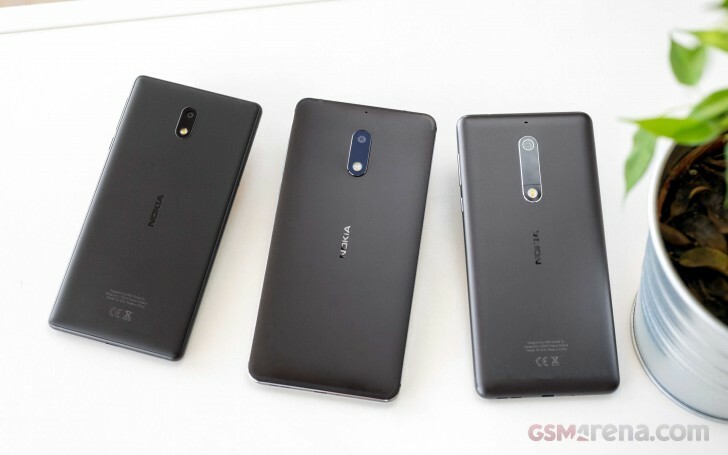 HMD unveiled three Android smartphones back in February – the Nokia 3, Nokia 5 and Nokia 6. Four long months later the phones finally started appearing on shelves. The latest market to get them is Australia, where retailer JB Hi-Fi has the three phones are up for sale. The Nokia 3 costs AUD249 ($198) and is available in two colors – Silver or Black. The phone is the entry-level one and comes with a MediaTek MT6737 chipset with a quad-core CPU. Next in line is the Nokia 5. It can be purchased only in Black for AUD329, which is the equivalent of $261. The 5 comes with Snapdragon 430 and 2GB of RAM. The most capable of the three is the Nokia 6 (for now). It costs AUD399 (about $317). You can get it in either Black or Silver. It still has the same entry-level Snapdragon 430, but at least it has 3 GB RAM and 32 GB internal storage. The camera has a 16 MP sensor and f/2.0 lens.